The 1000 Miglia is one of the most important events in the international classics calendar. This year the legendary event will take place between 16 and 19 May 2018 – once again Mercedes-Benz will be acting as the automotive sponsor. The close connection between the 1000-mile race in Italy held since 1927 and Mercedes-Benz goes back almost 90 years. The brand’s great successes include the victory in 1931 by Rudolf Caracciola as the first non-Italian driver, and the sensational success of Stirling Moss in 1955, with an overall victory and a still unbeaten record time of 10 hours, 7 minutes and 48 seconds. 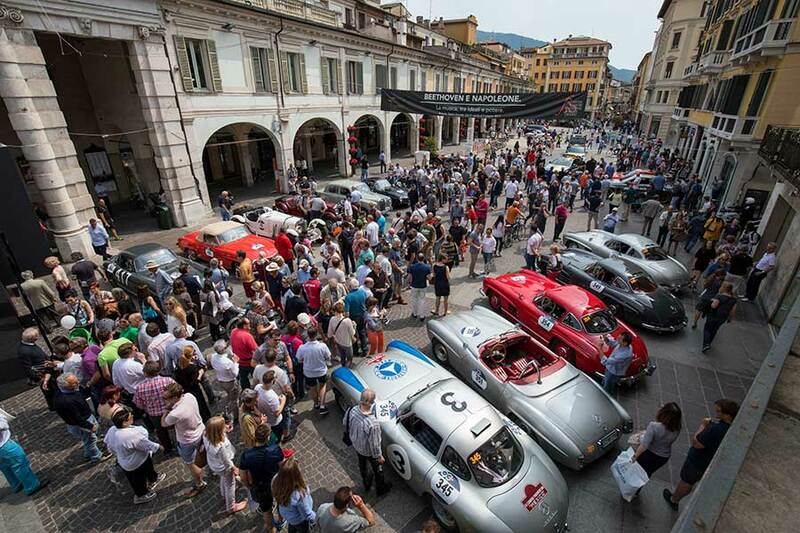 This year Mercedes-Benz will once again act as an automotive sponsor of the 1000 Miglia to celebrate the highlights of historic motorsport in the footsteps of the legendary 1000-mile race, thus continuing the excellent partnership with 1000 Miglia organisers. Mercedes-Benz will once again be attending the event taking place between 16 and 19 May 2018, starting and finishing in Brescia as well as along the around 1600 kilometre journey to Rome and back. The Mercedes-Benz Classic team with a Mercedes-Benz 300 SL racing sports car (W 194, left) and a 300 SL “Gullwing” Coupé (W 198), 17 May 2017. Mercedes-Benz Classic cars. Left to right: 300 SL racing sports car (W 194), 190 SL (W 121), 300 SL “Gullwing” Coupés (W 198). Stage from Brescia to Padua, 18 May 2017. The participation of Mercedes-Benz Classic with outstanding vehicles from its own collection is traditionally a highlight of the modern 1000 Miglia. In 2018 there will be plenty of type SSK (W 06), 300 SL “Gullwing” (W 198), 190 SL (W 121) and 220 “Ponton” (W 180) vehicles on the starting line-up. Mercedes-Benz Classic Brand Ambassadors and automotive aficionados will be at the wheel of the vehicles. The modern version of the 1000 Miglia is a reliability run on a route which closely follows that of the original road race. 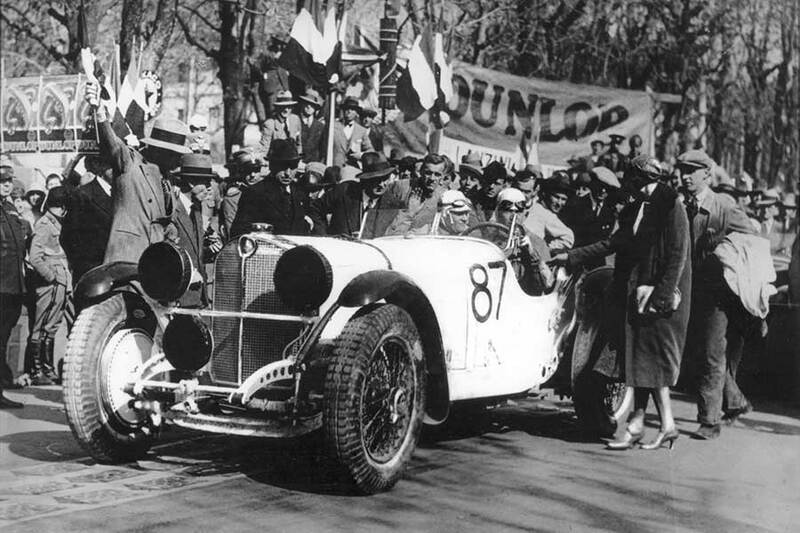 Entry is restricted to vehicle types that took part in the original 1000 Miglia during the period from 1927 to 1957. 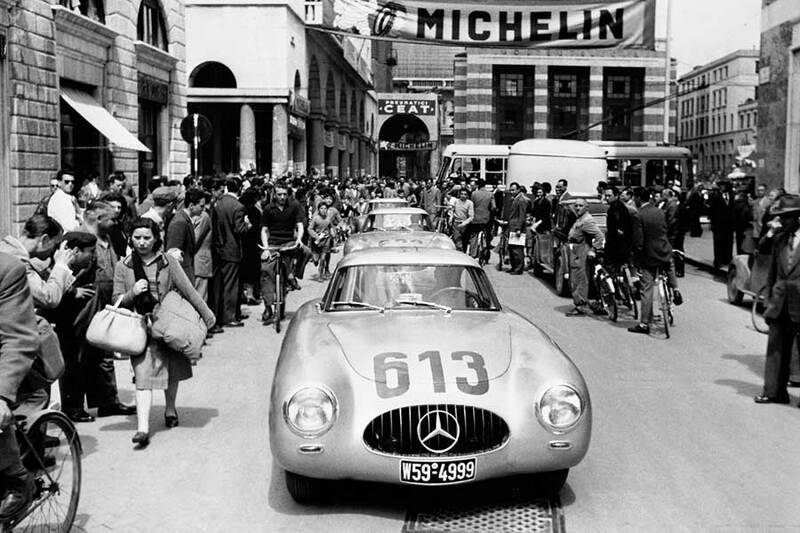 Mercedes-Benz and the 1000 Miglia are very closely linked by virtue of their shared history. The German brand has taken part in the 1000-mile race since 1930, i.e. almost since the very first event. At this debut event, works driver Rudolf Caracciola and his co-driver Christian Werner took 6th place in a Mercedes-Benz SSK (“Super Sport Short”). One year later Caracciola won the 1931 1000 Miglia as the first non-Italian driver with his co-driver Wilhelm Sebastian in an evolved Mercedes-Benz SSKL (“Super Sport Short Light”). Eventual winner Rudolf Caracciola at the start in a Mercedes-Benz SSK, 12 April 1931. Premiere of the Mercedes-Benz 300 SL racing sports car (W 194). The team Rudolf Caracciola / Peter Kurrle (start number 613) finishes in 4th place, 3/4 May 1952. In 1952 the 1000 Miglia provided the arena for the premiere of the Mercedes-Benz 300 SL racing sports car (W 194), the brand’s first newly developed racing car following the Second World War. Karl Kling and co-driver Hans Klenk took second place in their brand-new SL at their first attempt. In 1955 Stirling Moss and Denis Jenkinson drove the 300 SLR racing sports car (W 196 S) to overall victory ahead of their team mate Juan Manuel Fangio. Also triumphant were the 300 SL “Gullwing” series production sports cars (W 198) in the Gran Turismo class over 1300 cc engine capacity, while the 180 D (W 120) landed a triple victory in the diesel class. In 1956 both the 220 “Ponton” (W 180) luxury class saloon and a Mercedes-Benz 190 SL (W 121) successfully took part in the race. 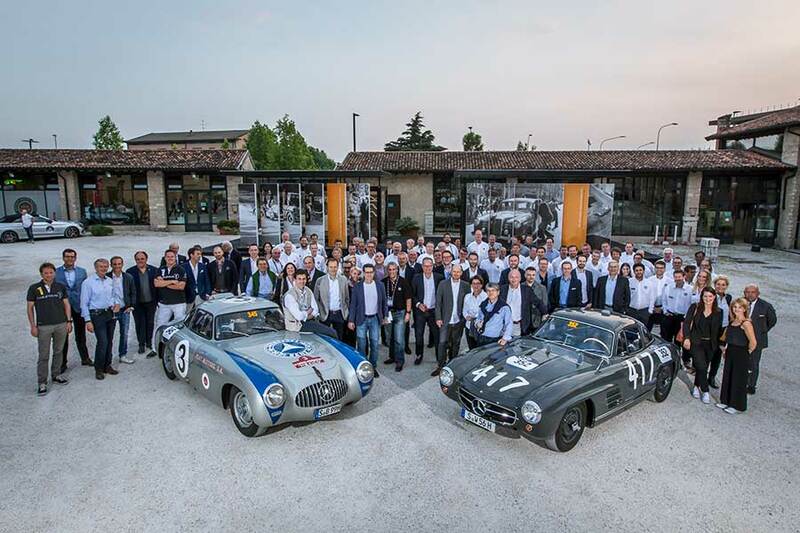 The connection between the brand and the racing tradition is also underlined by the cooperation between Mercedes-Benz Classic and the Museo Mille Miglia in the historical monastical complex of Sant’Eufemia della Fonte just outside Brescia.